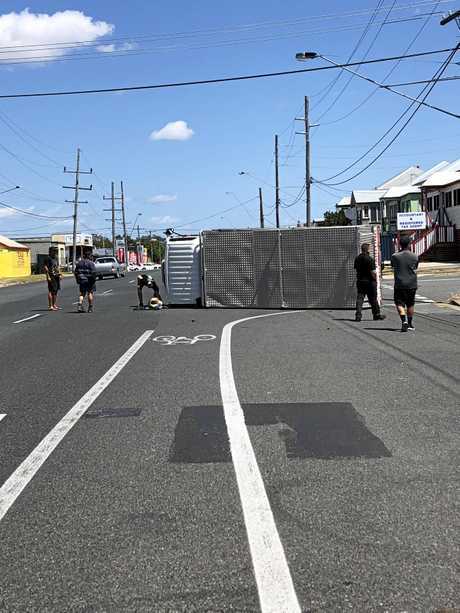 UPDATE 1:30pm: FURTHER details have emerged regarding the truck roll over this morning in Rockhampton's CBD. The crash was between a truck and a van with three occupants involved. The truck driver suffered abdominal and arm injuries due to the impact. He was transported to Rockhampton Hospital in a stable condition. 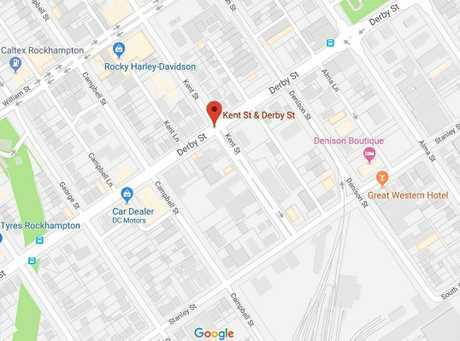 The truck, which was blocking a single lane of the intersection of Derby and Kent St, was towed. The intersection cleared by authorities at 12.30pm. 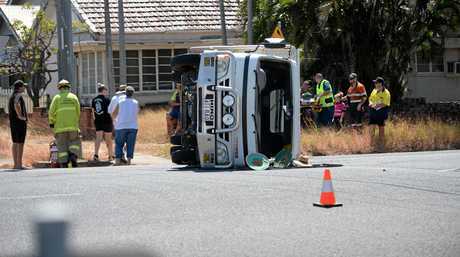 EARLIER: CIVILIANS have gone to the aid of a man injured when his truck rolled at the intersection of Derby and Kent St in the Rockhampton CBD. 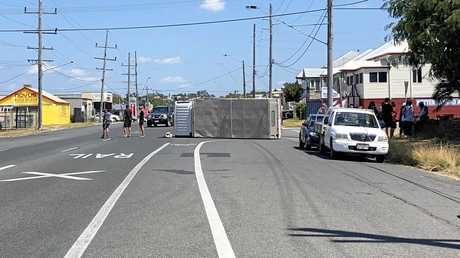 It is unknown how the painter's truck ended up on its side at approximately 11:40am. 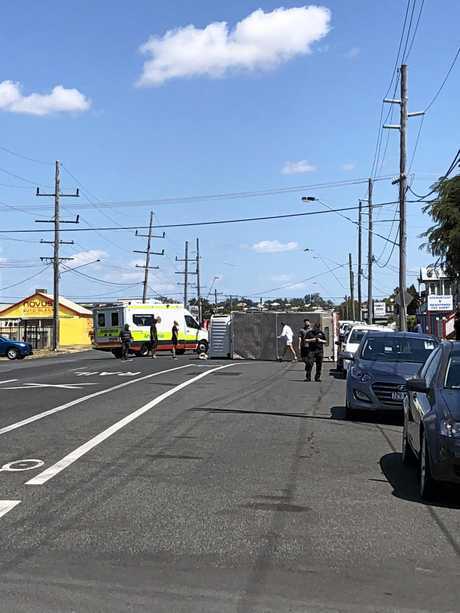 A witness reported seeing the windscreen kicked out from the vehicle with a gathered crowd of people directing traffic and assisting a man in his 50s to sit on a nearby fence. Queensland Ambulance said they were on scene, treating a man for suspected arm injuries. 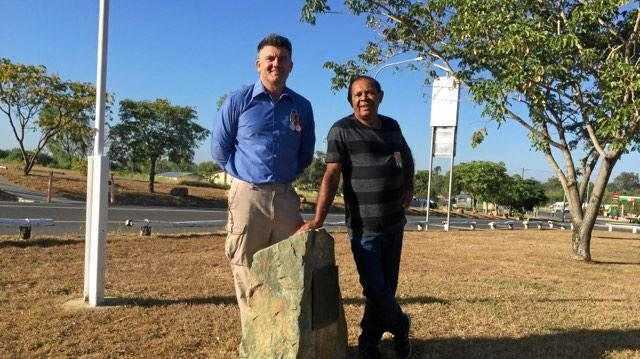 They anticipated transporting him to Rockhampton Hospital for further treatment. The intersection is partially blocked and motorists are advised to avoid the area.